Pam Ermen became a real estate agent at age 18 and never looked back. She quickly generated massive sales numbers, which took her into management by the age of 24. She's the author of two training series on business planning and dynamic team growth. Selected as a Virginia Educator of the Year, Ermen has spent more than 25 years coaching individual agents and teams on how to reach their highest productivity level. With a lifetime of experience in real estate, Ermen has also learned other extremely valuable skills—how to spot trends and real estate patterns, and how to read markets and real estate futures. She shared her tips, insights, and tricks with agents in a recent webinar. Where is the market going? Is it slowing down or retracting? According to Ermen, some of the events she sees are very much the same as those that contributed to the 2003 boom and bust market. "The market may be slowing itself down," she said. "What we need to do is track what's happening and understand how to use that information." Across the country, there's been a median sales price increase of 7 percent. That, along with other factors, may be causing the market to slow down. But how should agents determine what the "true story" is regarding the market, and how can they find out if a trend is local, regional or national? When trying to understand housing and real estate bubbles, Ermen sat down and dissected the definition of an economic bubble and came up with six economic factors that can help REALTORS® forecast their market. Those factors can be exciting, rather than scary—if you know how to interpret and respond to them, Ermen said. "Before the technology existed to warn us of hurricanes and approaching weather patterns that could wipe out thousands of homes, there was no way to determine what was coming at you until the storm hit," she said. "With modern technology, we have enough warning to get our families out of the storm even if we can't protect our property. Understanding the warning and market patterns is like our current advance storm warnings. If you pay attention to the patterns and the warnings, you can anticipate and prepare for coming financial storms." Those advance warnings consist of six economic factors: unemployment; housing affordability; interest rates and mortgage availability; distressed properties and foreclosures; vacancy rates; and home sales supply and demand. Look at the unemployment rate locally, as well as on a state and federal level. Don't just ask what the rate is; ask why it is what it is. What you want to do is look at where it was and where it is, and then anticipate where it's going and why. As an example, Ermen pointed out that the Navy was talking about moving a carrier from the Norfolk, Va., shipyards, which impacted her local real estate and employment market. The move of one carrier alone would mean a loss of 11,000 jobs and millions in revenue. The move didn't happen, but years later, there was talk of moving more ships into Norfolk—a boost for employment and income. Understanding the other five economic factors, as well, can prepare an agent for any changes in their market, long before the effects begin to appear in sales. Ermen goes into great detail for each of the other factors in the webinar. She also shows agents how and where to find the information that they'll need to start recognizing patterns. "There are many free online tools you can use to follow stories, track trends, spot patterns and understand the future of your market," she said. "Ultimately everything, including news stories about jobs, business, layoffs, and hirings, impacts the real estate market." The trick, Ermen said, is in knowing where to go to find the information, and then in learning how to assemble it in such a way that you can forecast the future of your particular market. Google Alerts – Sign up for Google Alerts to track things like economic trends, jobs, business and topics related to the six factors above. This way you get up-to-date news reports about the trends and patterns as they happen. Media Reports – Read and follow real estate industry news and trend reports. Keeping abreast of what is happening in real estate news is a valuable resource for helping broker/owners and executives understand the constant barrage of changes in their area and across the country, as well as how to be better prepared for the coming year. Economagic – Research and refer to Economagic.com. The site gives you the history of your area and helps you learn to how to read patterns. Housing Affordability Index – The Housing Affordability Index is provided and delivered through the National Association of REALTORS® (NAR). The Index shows how affordable housing is in an area. When the Index begins to rise or drop, you've got something to share with your buyers and sellers regarding housing prices. Homes.com's "Affordability Calculator" – Find out how much your clients can afford. Ermen covers more than just the facts and statistics of the housing market; she shares insights from loss aversion experts, and shows agents how to find and motivate clients to sell or buy. 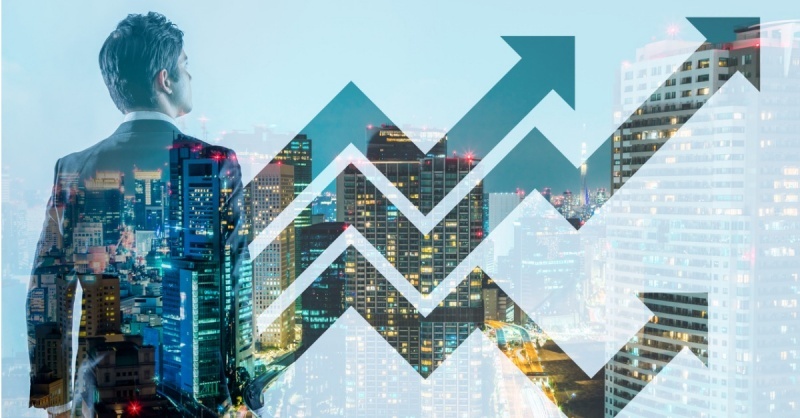 For more information on the other five economic factors impacting your market, and more tips and websites that can help you analyze your market, listen to the webinar: Pam Ermen | Learn How to Read Your Market to Generate More Sales in 2019. For more information, please visit marketing.homes.com.